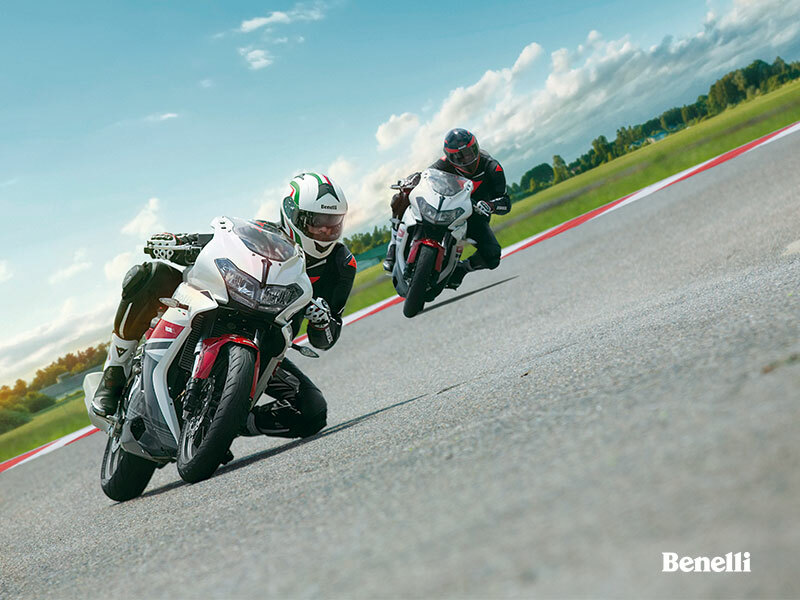 An Italian is joining the small-displacement fun with the other kids, bringing to the U.S. market the 2018 Benelli 302R. 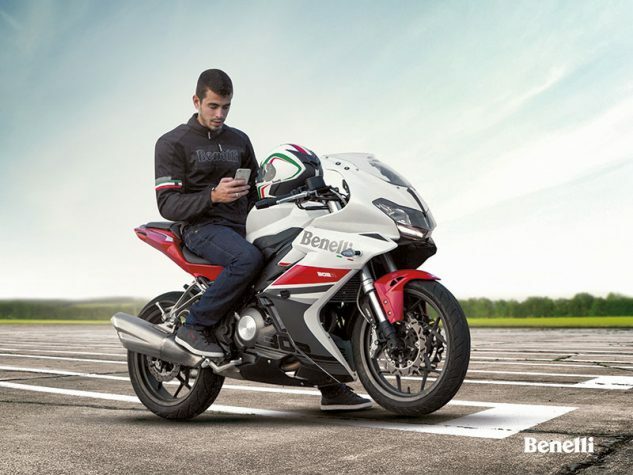 The 302R carries the same inline two-cylinder motor as the previously seen in the Tornado 302, an Italian-designed, Chinese-manufactured naked bike from Benelli. 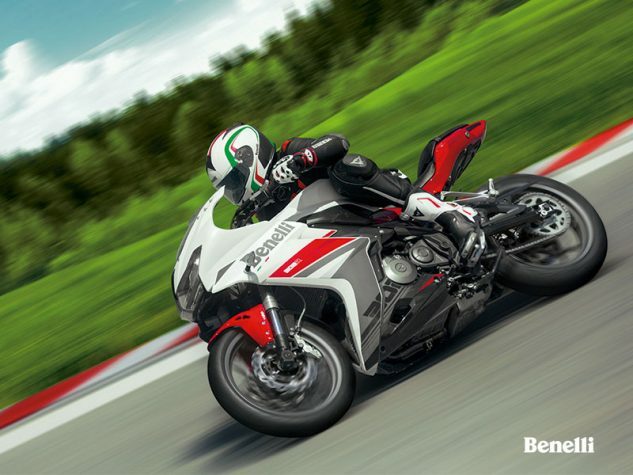 The 302R carries the same specs as the 300cc Tornado, with 38 hp (claimed, at crankshaft) at 10,000 rpm and 20 ft-lb of torque at 9,000 rpm from its two-cylinder engine. When we tested the TNT300, our test unit spat out 32.8 hp at 11,200 rpm and 16.6 lb-ft at 9800 rpm. 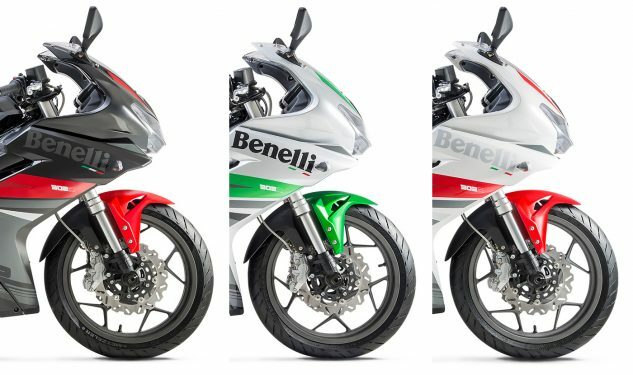 The 300cc powerplant has a bore and stroke of 65 x 45.2mm, a compression ratio of 12:1 and uses a DOHC layout for its four valves per cylinder. Electronic fuel injection is delivered via a 34mm throttle body/. The Italian machine has a seat height of 30.9-inches, but with a purported dry weight of 418 lbs, it will be one of the heaviest bikes in the quarter-liter sportbike class. The TNT300 we tested scaled in at 450 lbs with its 3.7-gallon tank full, so the 302R will be a bit of a porker. The steel tube frame is suspended by a 41mm inverted fork with 4.7 inches of travel. The single shock in the rear lists a ridiculously short 1.77 inches of travel from the specs we were able to access, which we believe is some sort of typo. 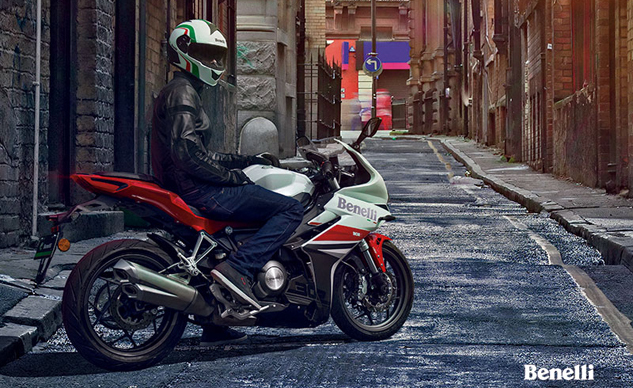 The TNT300 lists 4.7 inches of travel, a figure we’d guess is closer to what the 302R has. A pair of 17-inch aluminum rims mate with a 110/70-ZR17 front and a 150/60-ZR17 rear tire. Braking power comes from dual 260mm discs up front with 4-piston calipers, with a rear 240mm disc clenched by a single-piston floating caliper. Three colors will be offered: white/red, silver/green, and a black/red option. 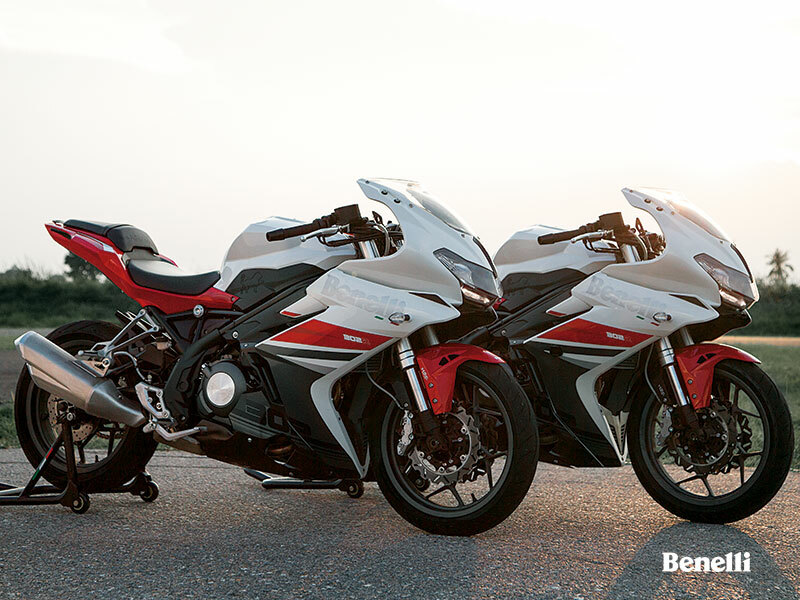 With the TNT300 being sold for $3,999, we hope to see an MSRP not much greater for the 302R. As of now, no pricing has been given. Overall, we think the 302R looks pleasingly sporty. It will be interesting to see one in person for a closer inspection to find out how the fit and finish stack up against its competitors. Take a look at the video below to see the 302R in action.